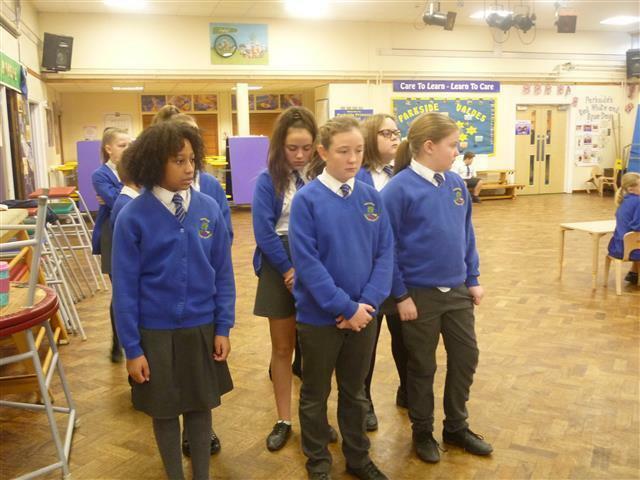 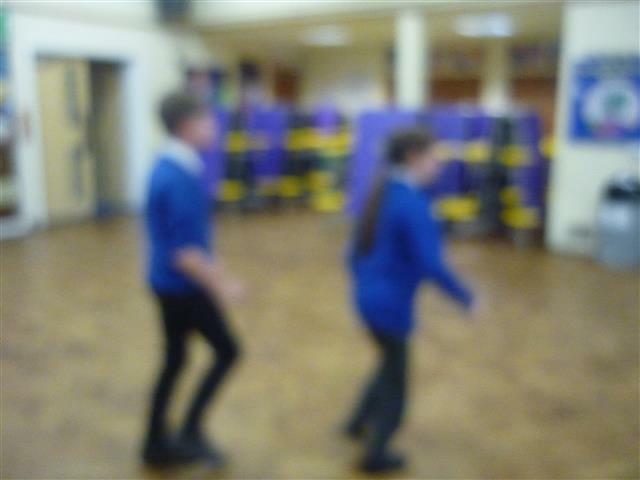 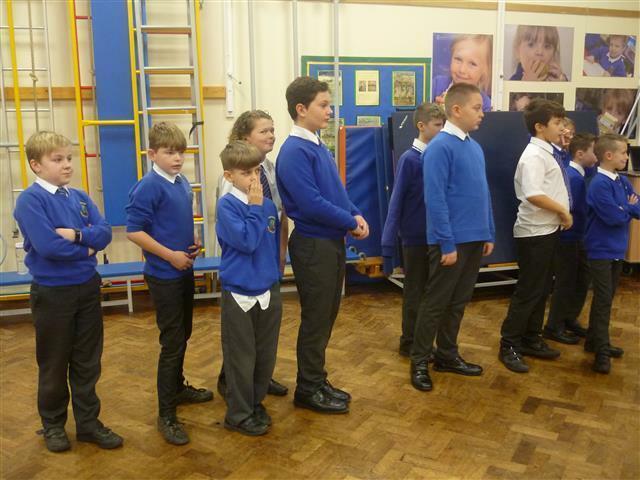 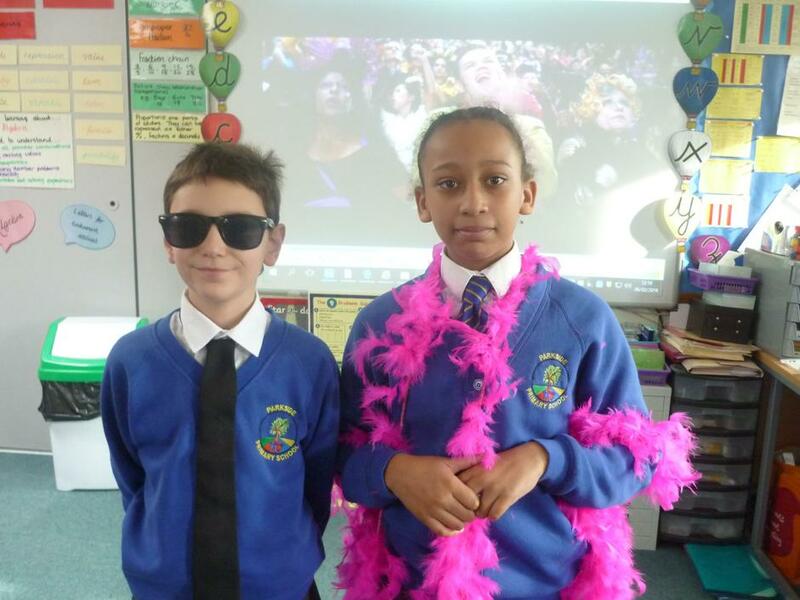 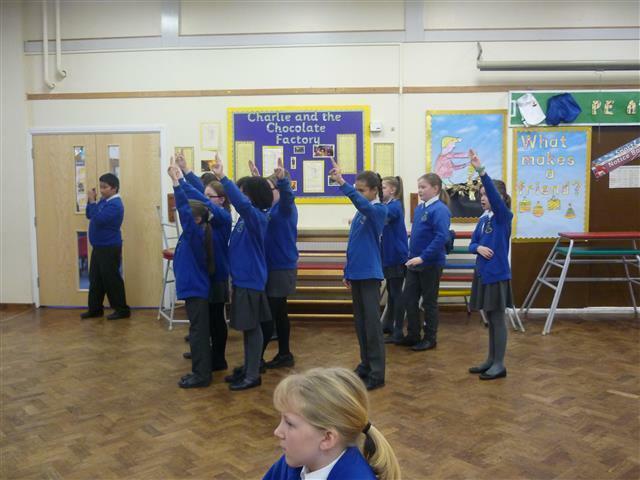 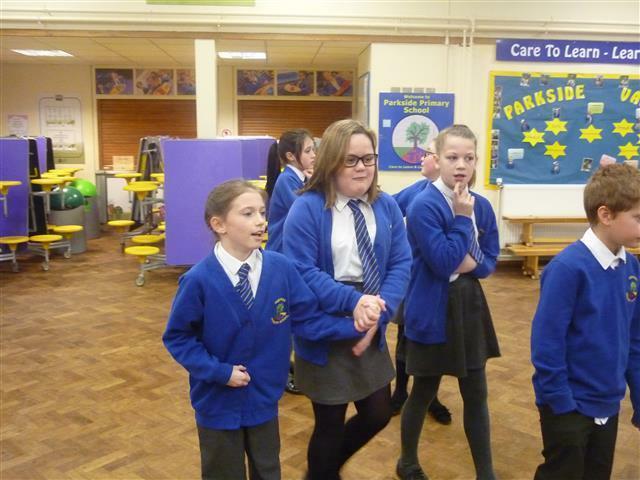 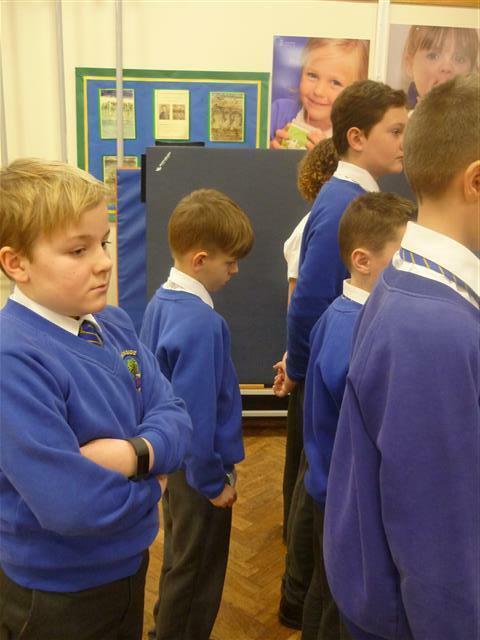 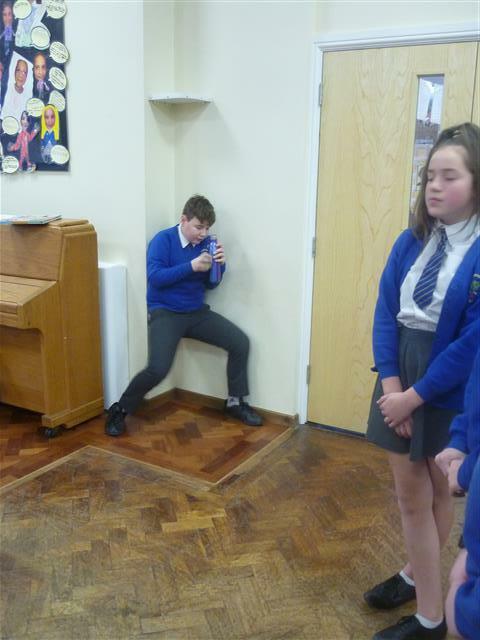 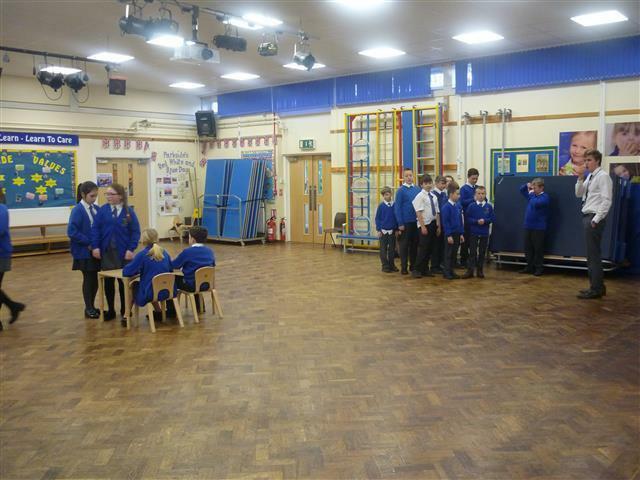 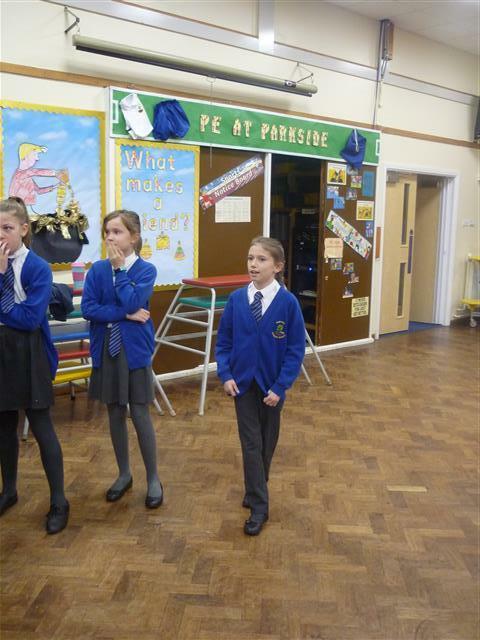 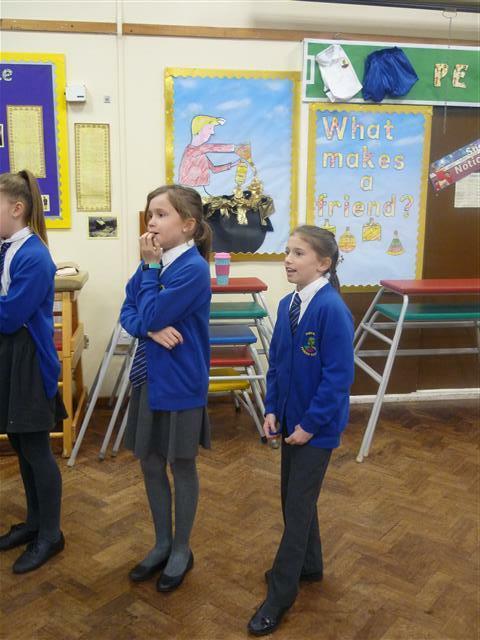 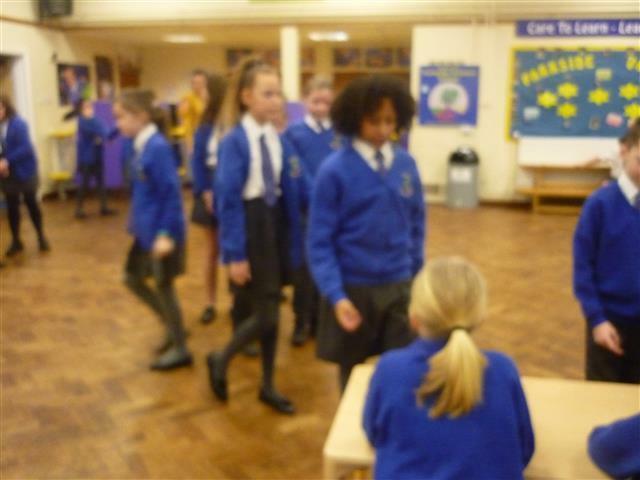 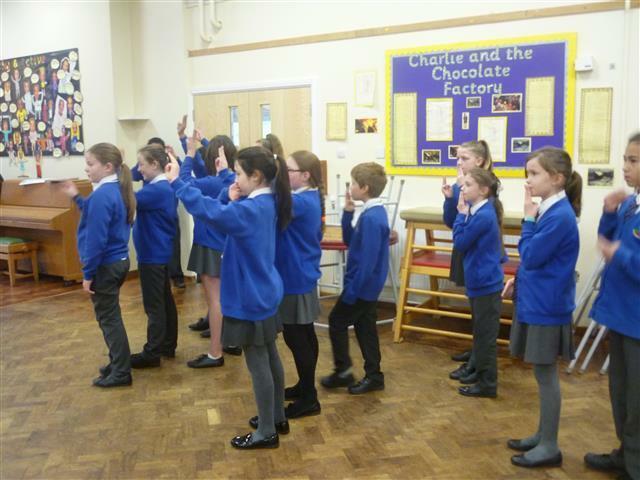 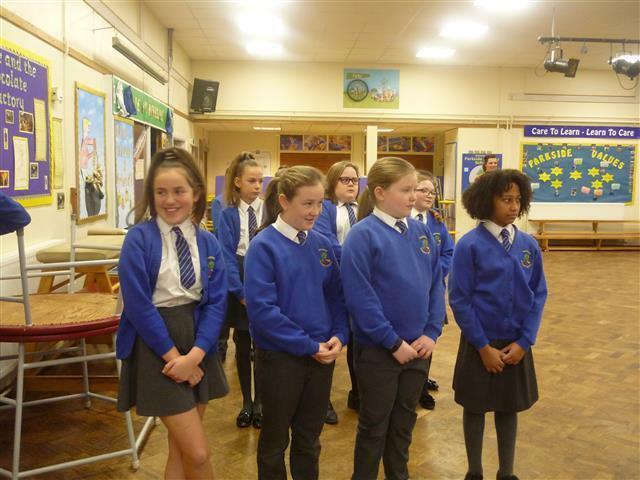 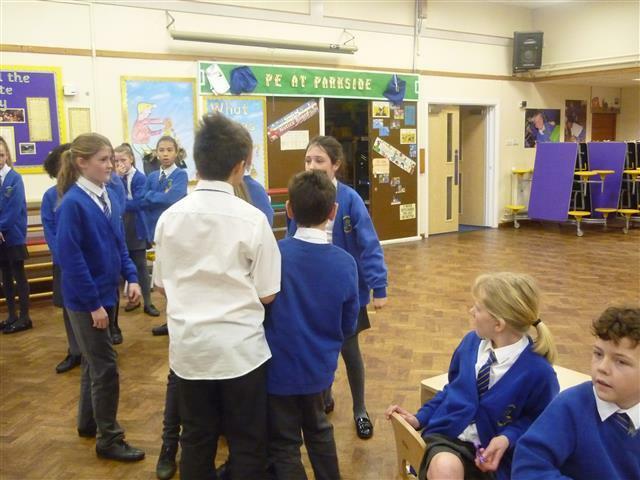 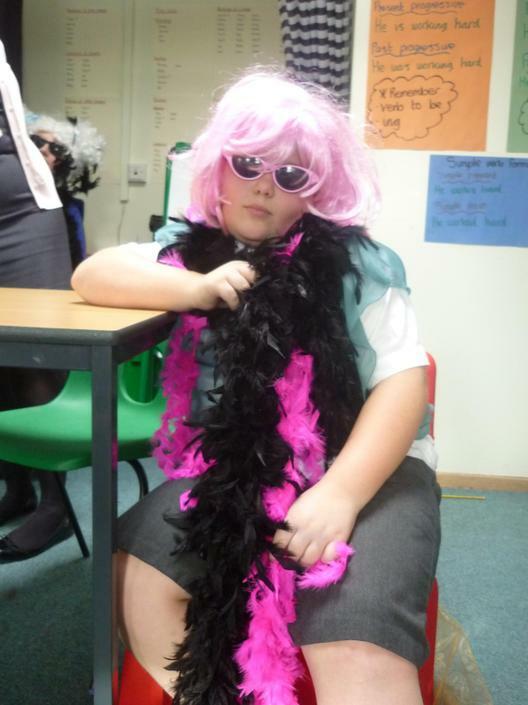 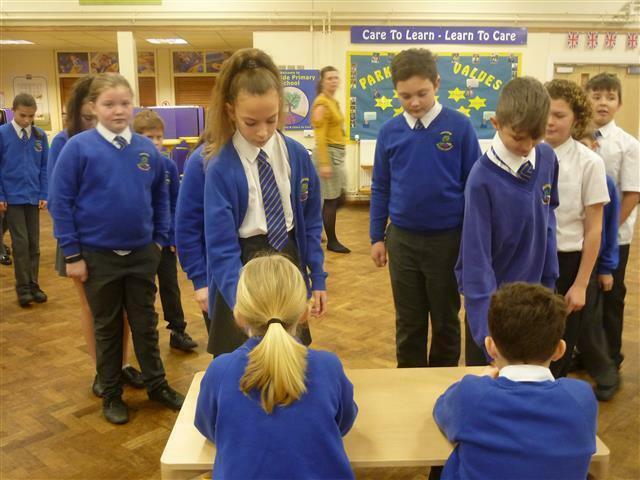 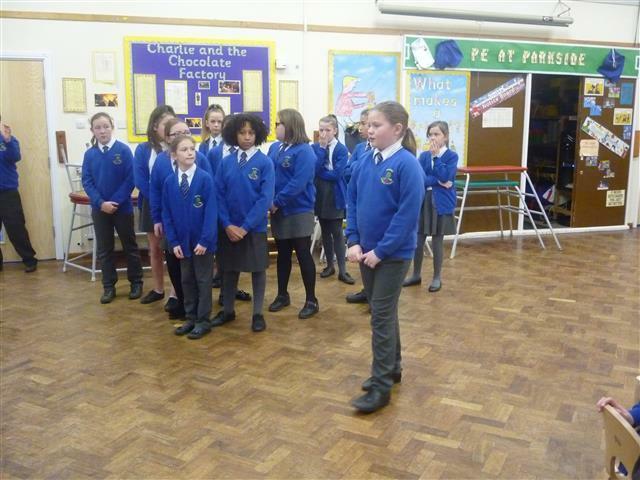 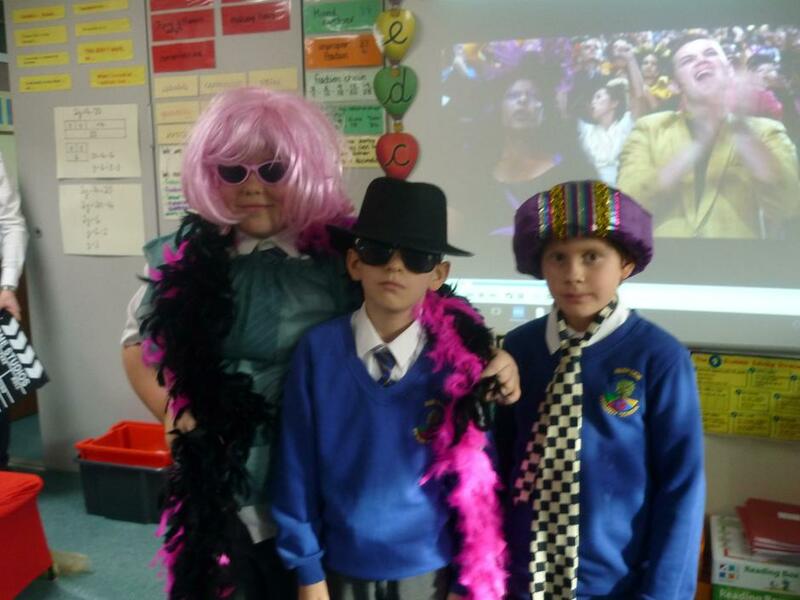 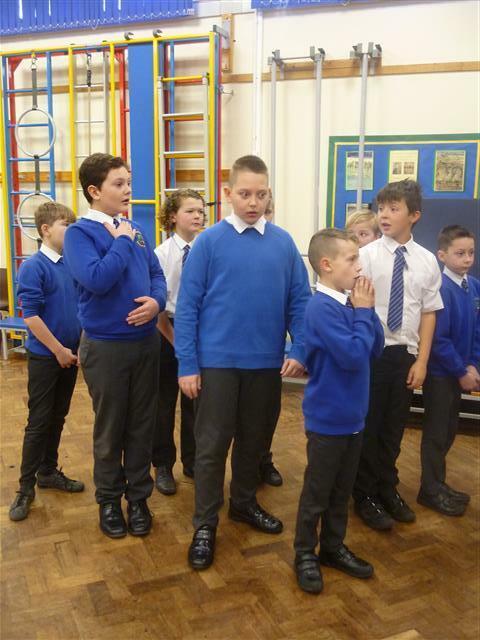 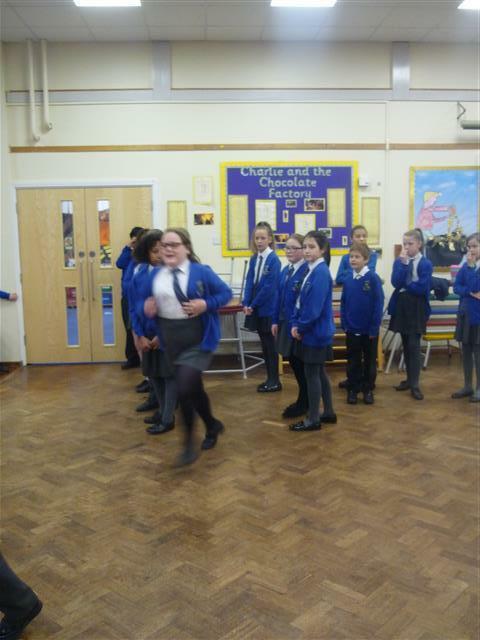 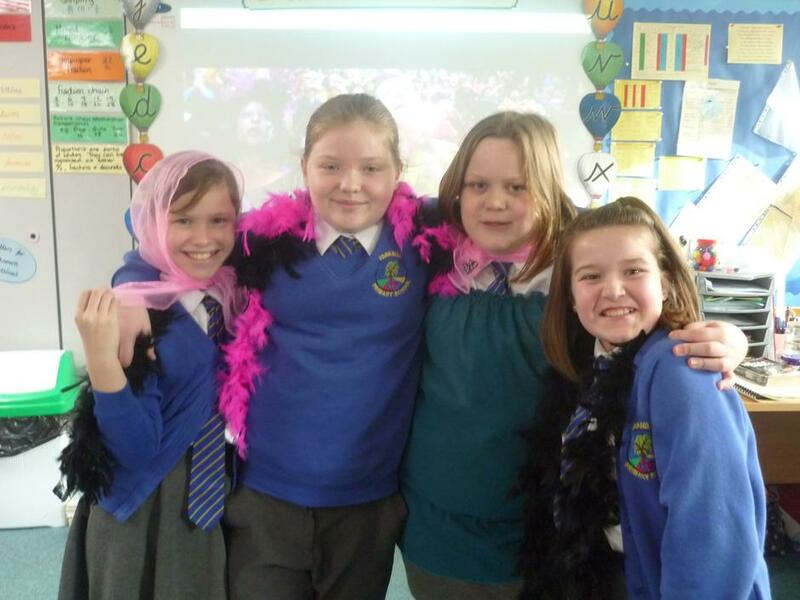 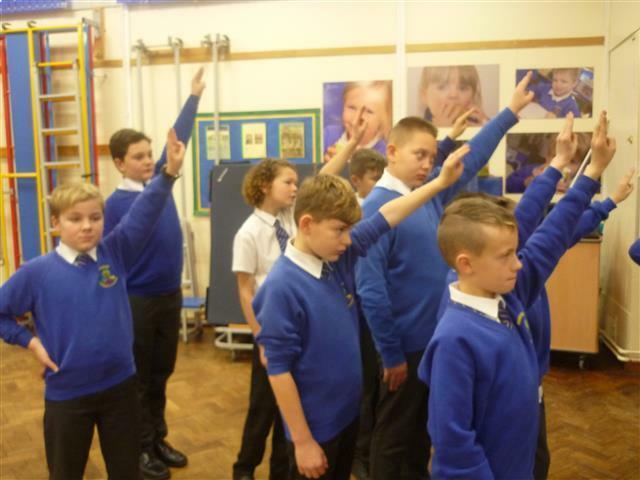 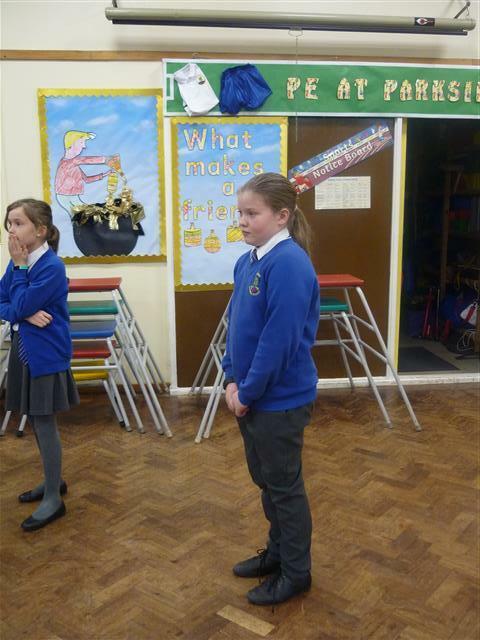 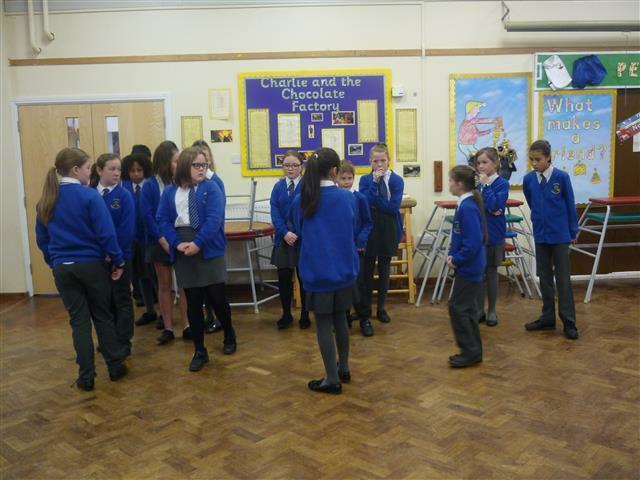 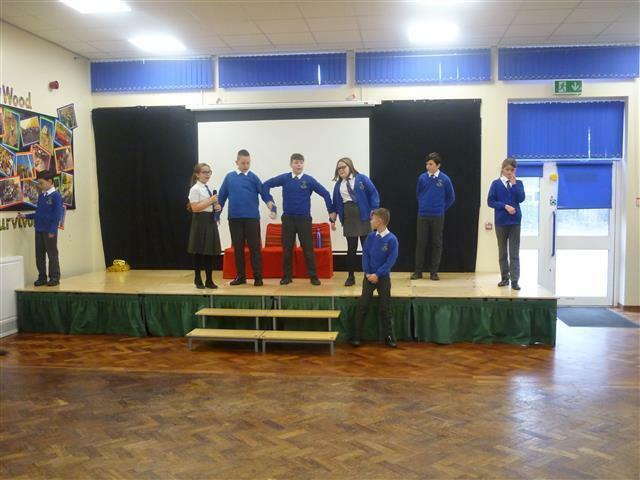 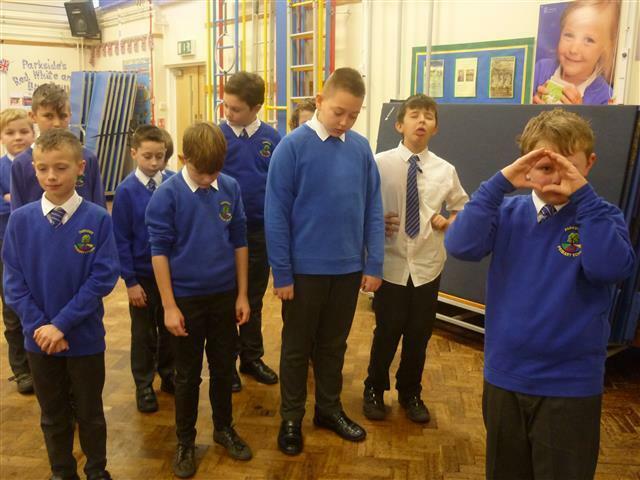 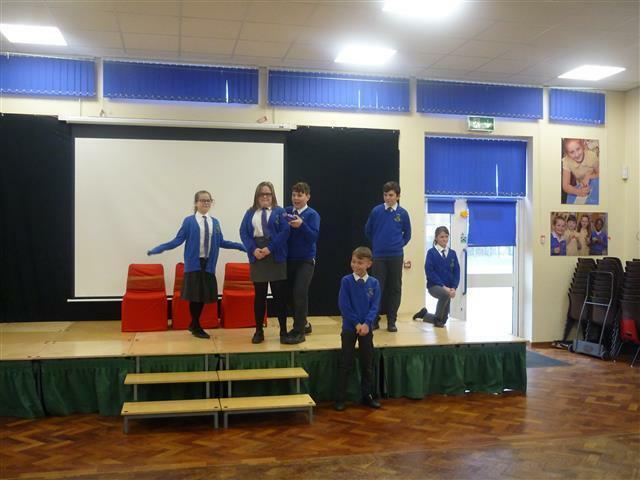 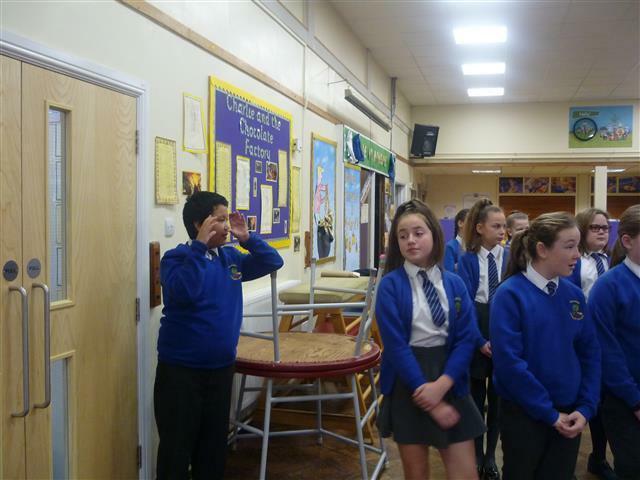 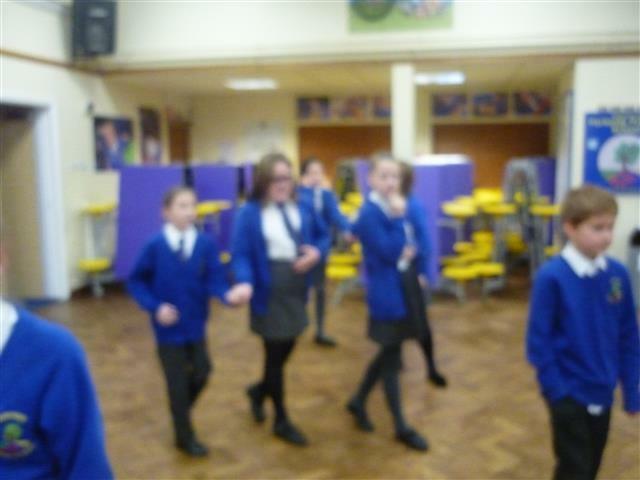 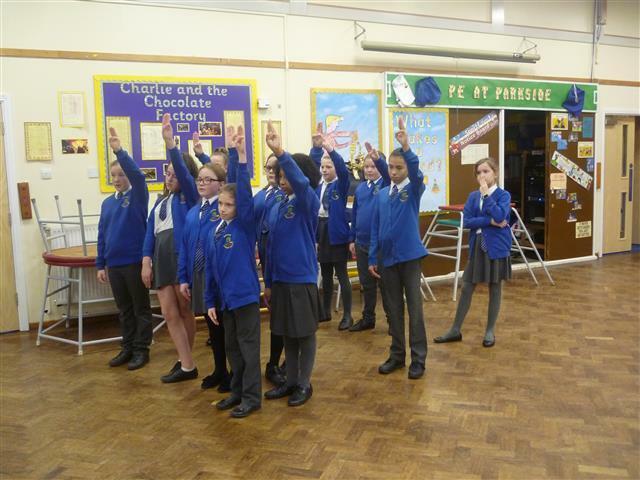 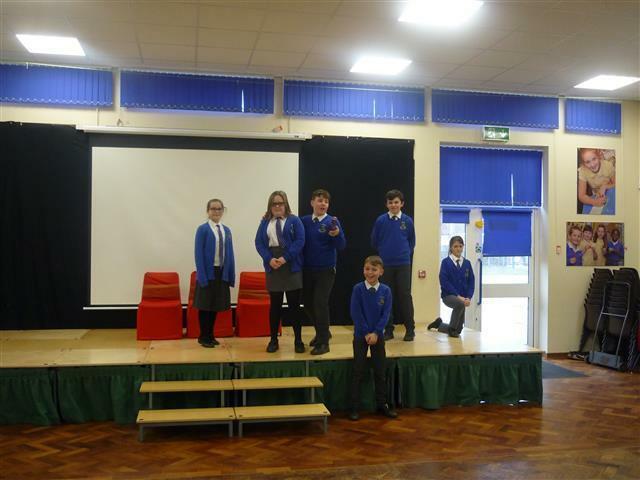 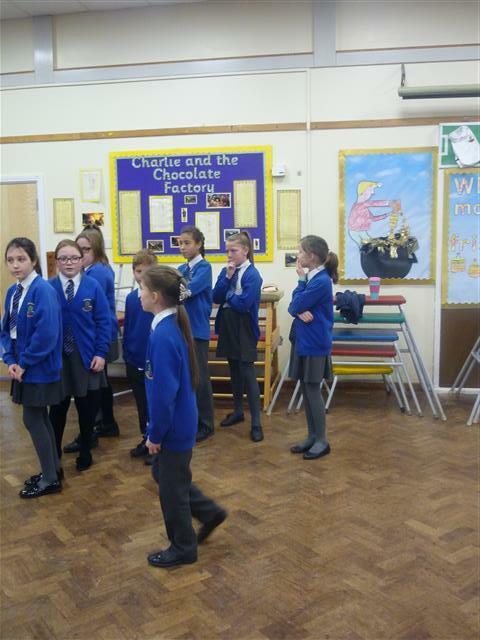 The Year 6 Survivors engaged in some brilliant drama this week. 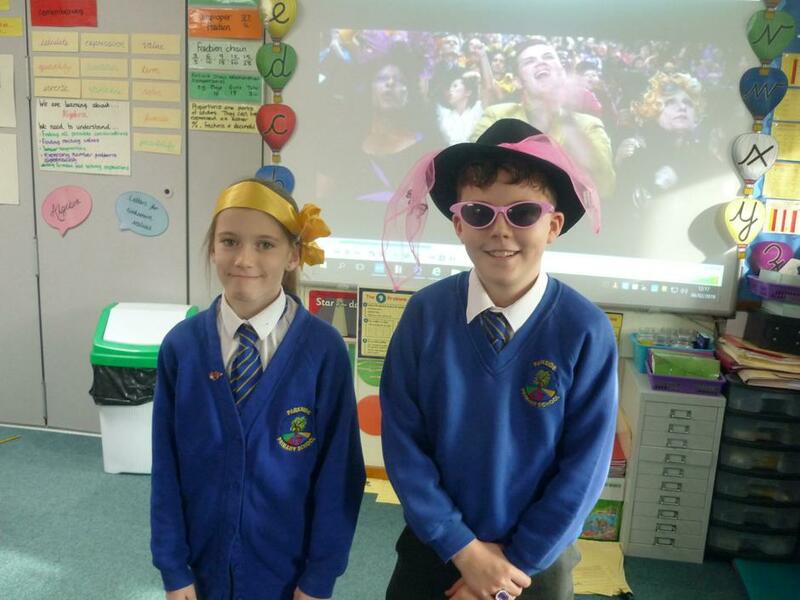 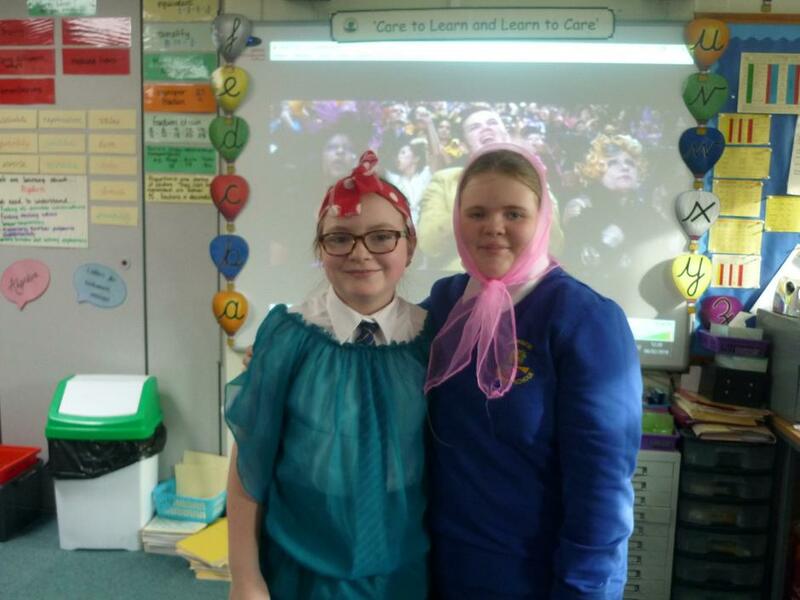 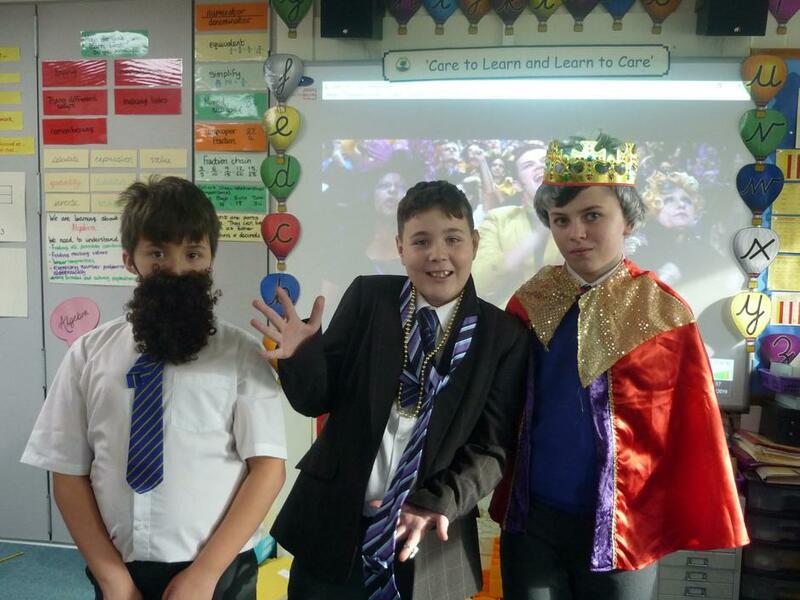 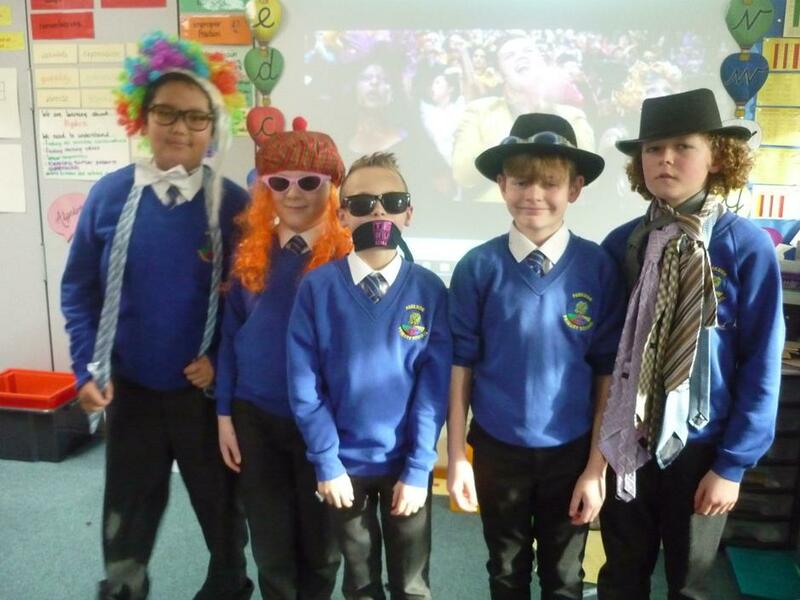 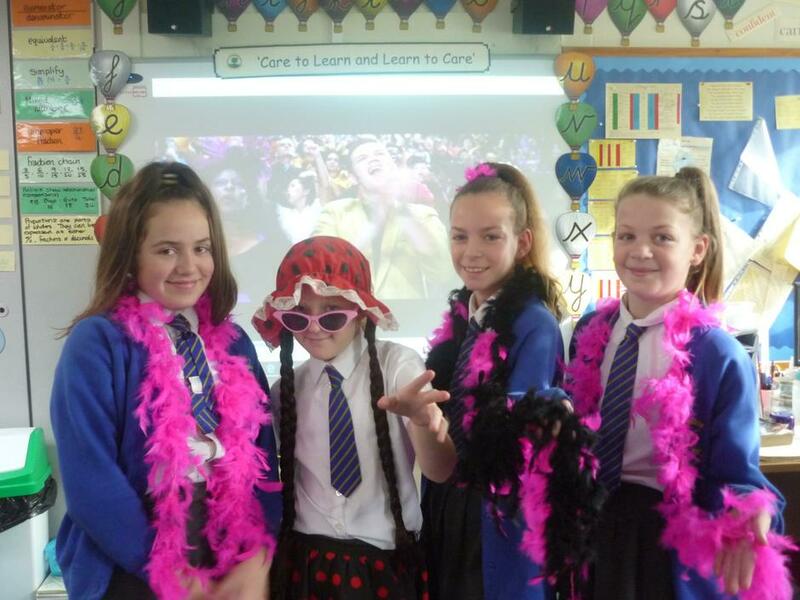 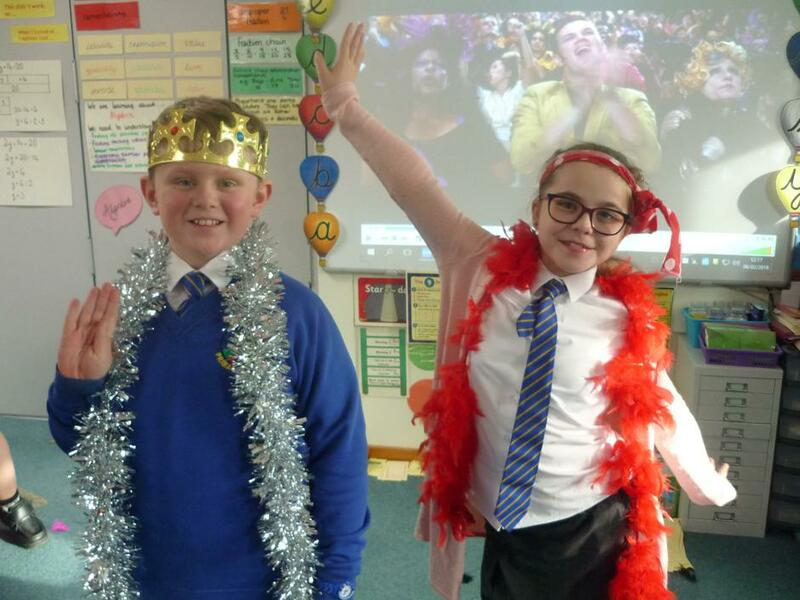 They put on a fabulous 'Opening Ceremony' - using the text to help them really understand the different characters and the relationships between them. 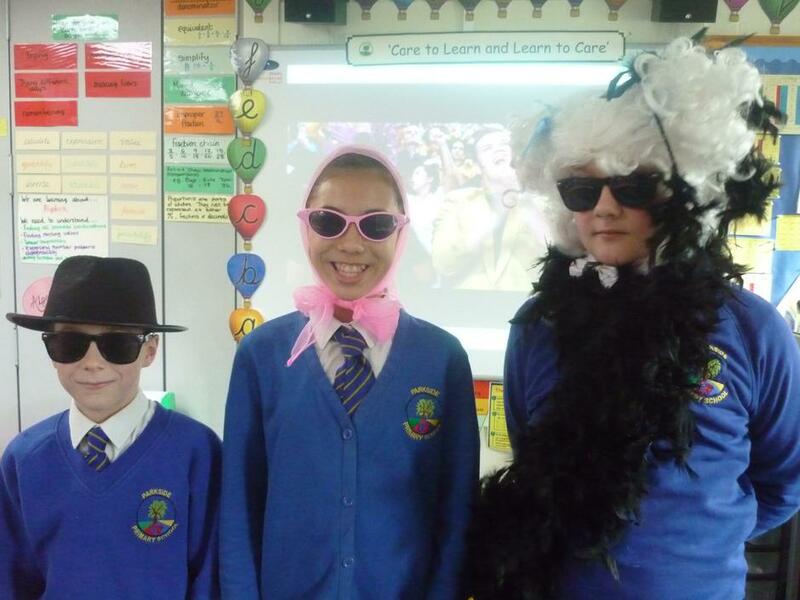 They even dressed up for the occasion! 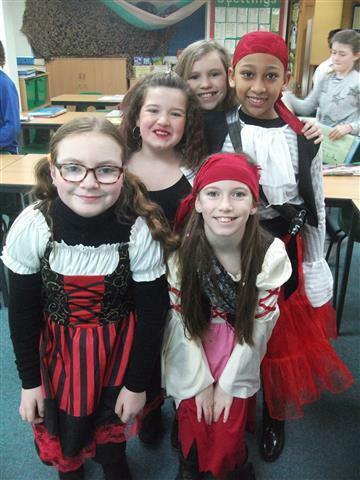 Have a look below at their wonderful costumes! 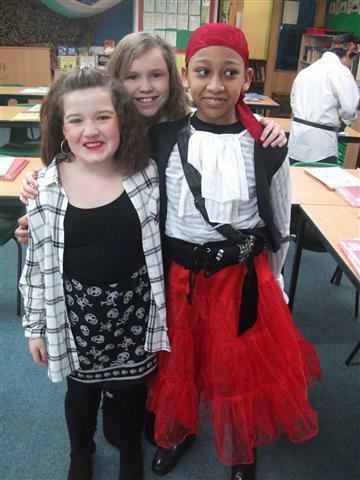 Last Thursday (31st January), The Survivors joined the rest of the school in its latest 'Everyone is a writer' day. 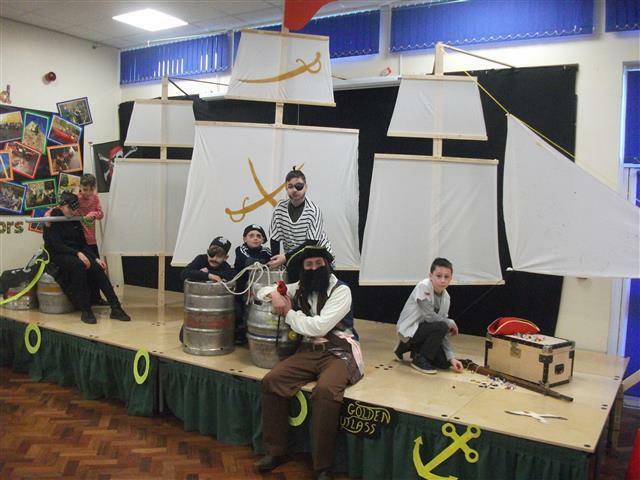 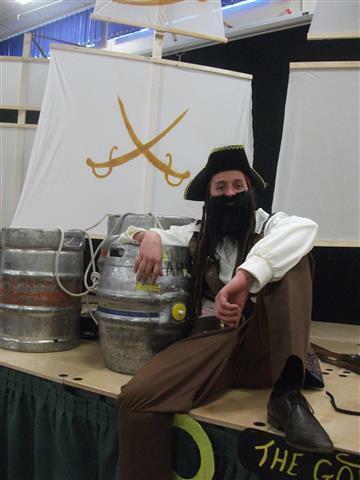 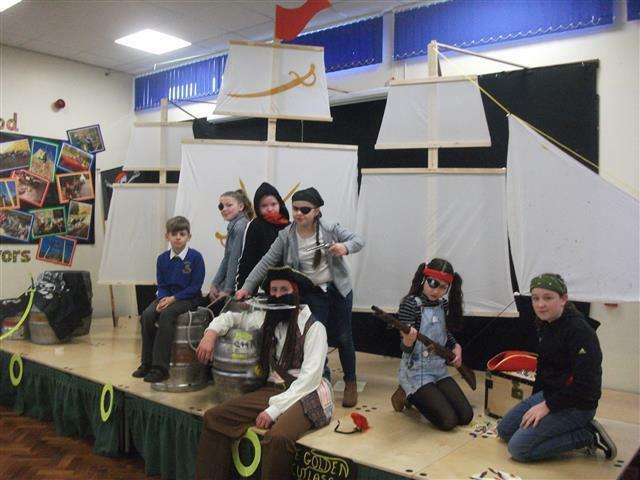 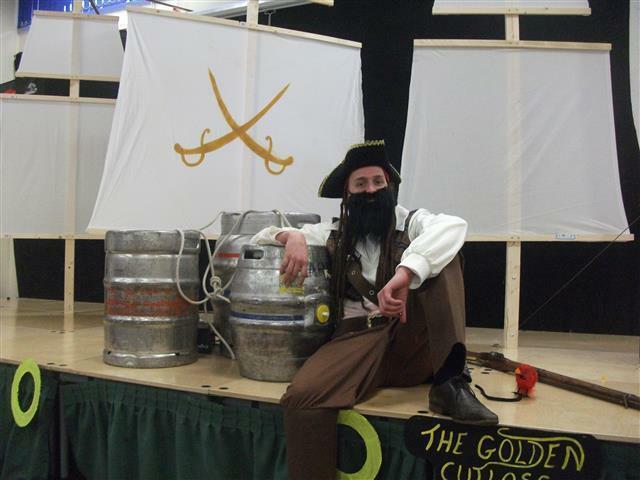 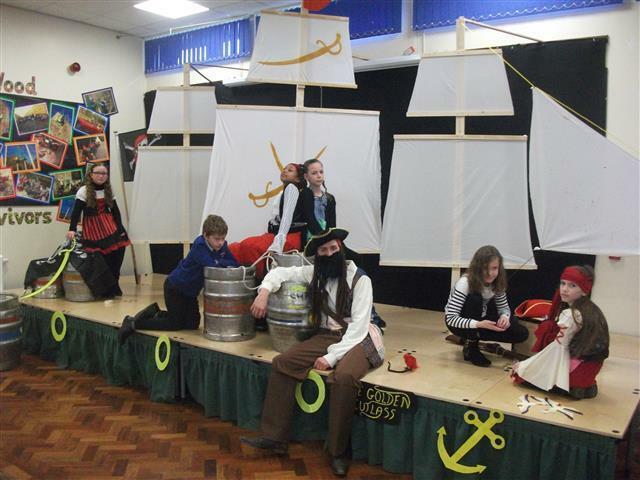 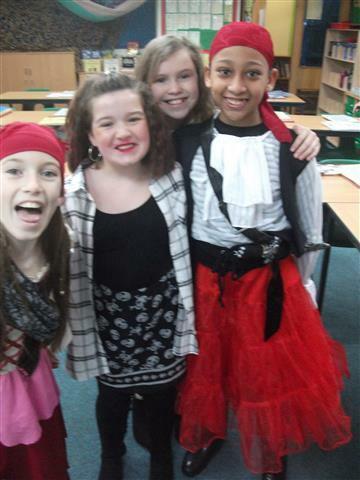 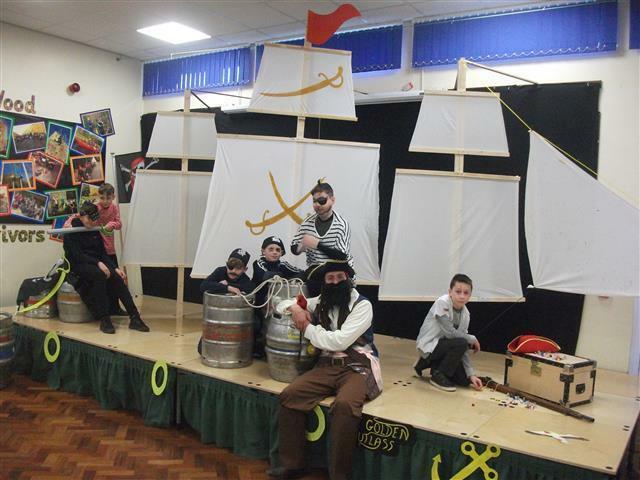 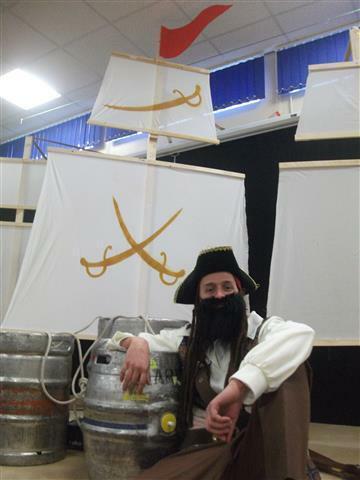 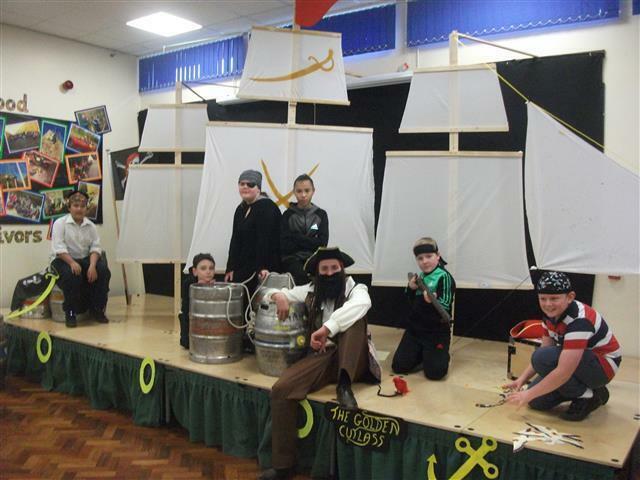 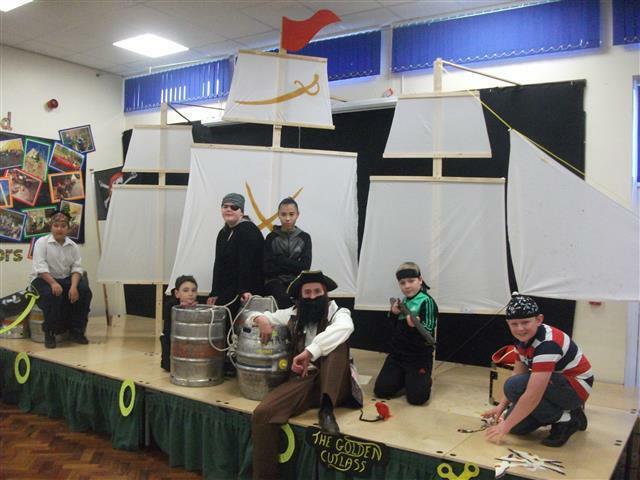 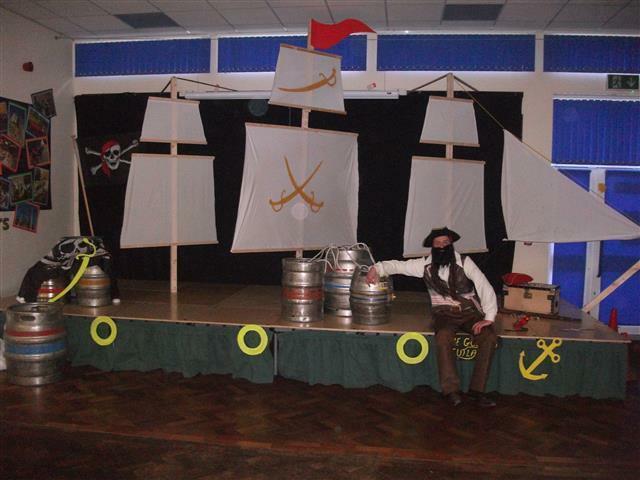 The theme for this day was 'Pirates' and the children (and staff) dressed up in some amazing pirate costumes. 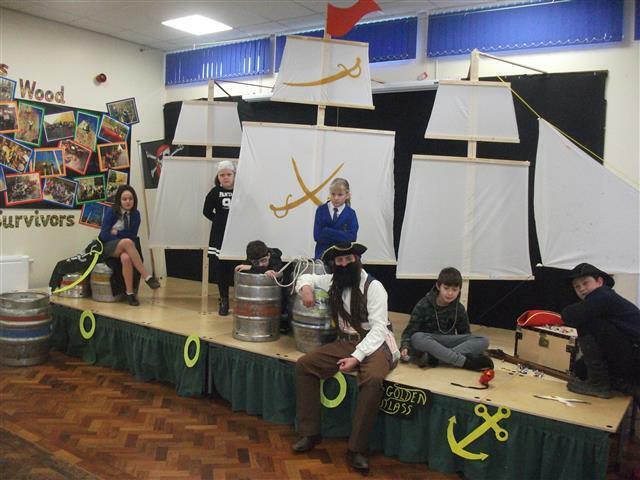 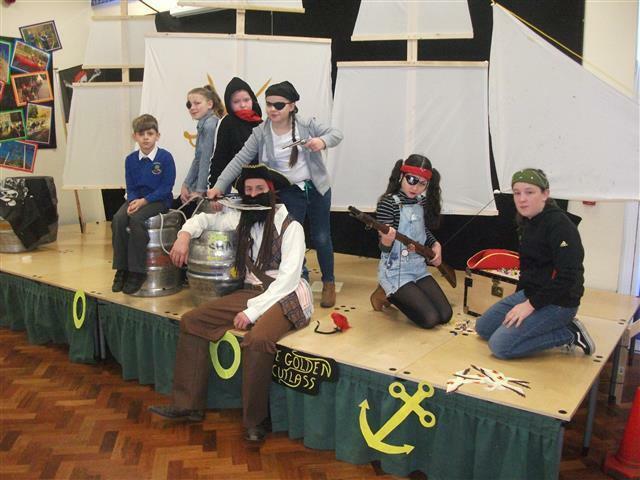 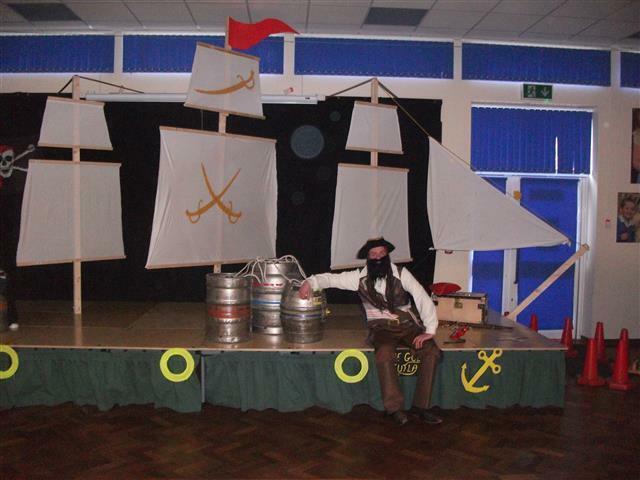 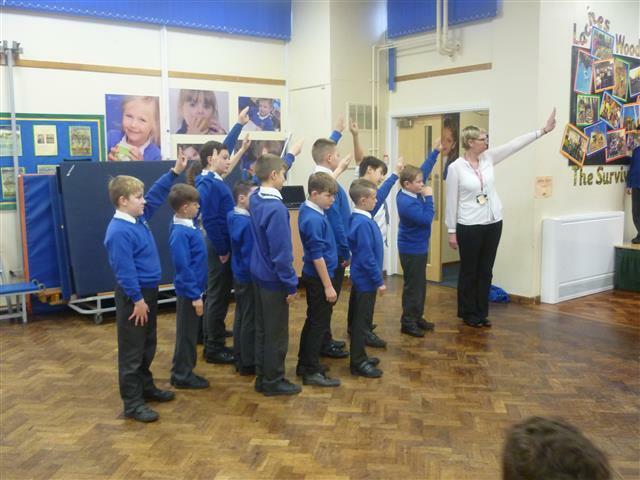 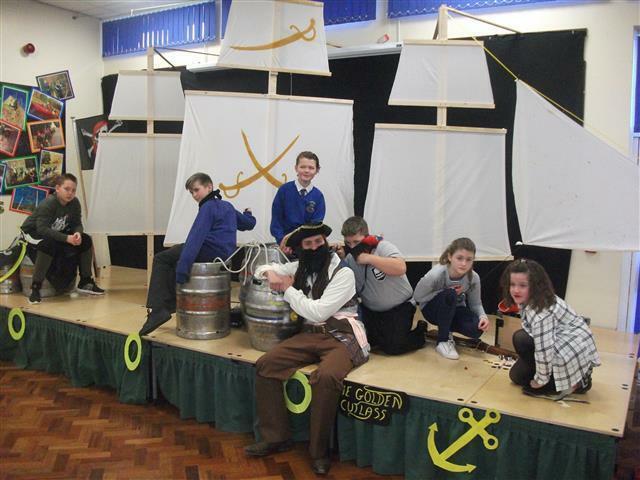 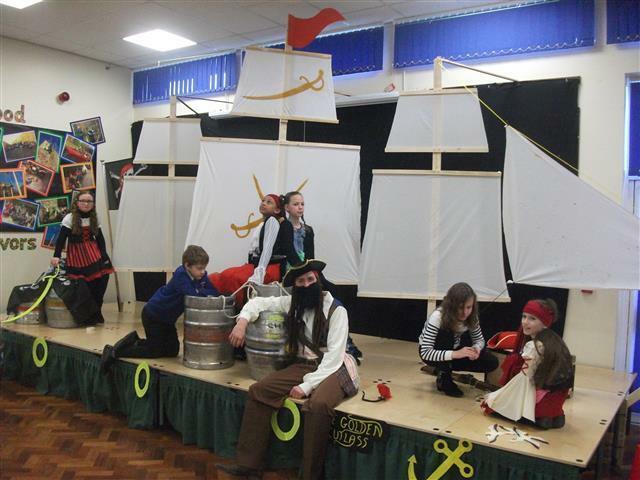 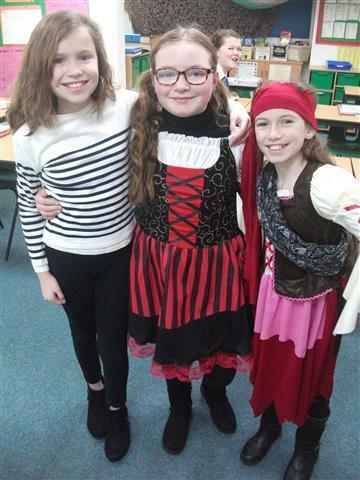 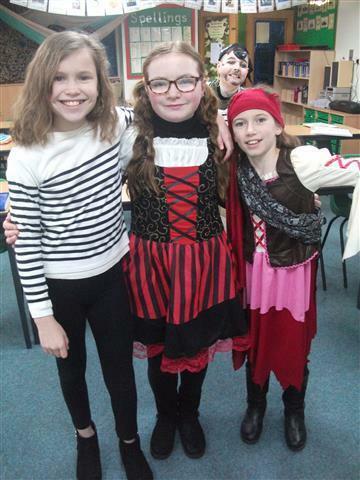 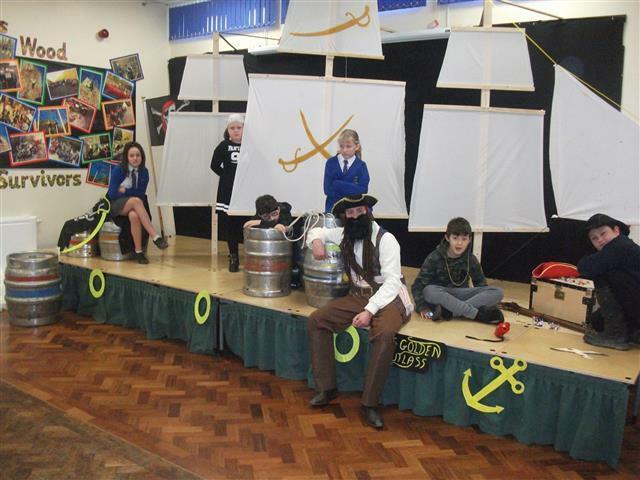 The hall was transformed with the arrival of a brilliant pirate ship and after singing some sea shanties and listening to a 'real-life pirate', the children returned to their classes to begin a wonderful journey of writing. 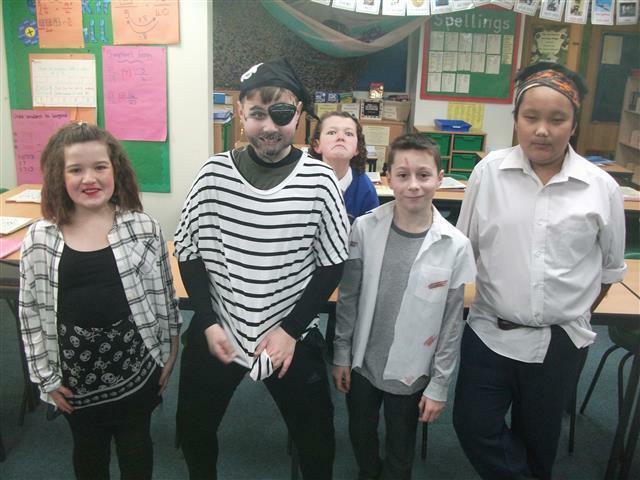 The Survivors produced some really excellent writing, aptly named 'Life at Sea.' 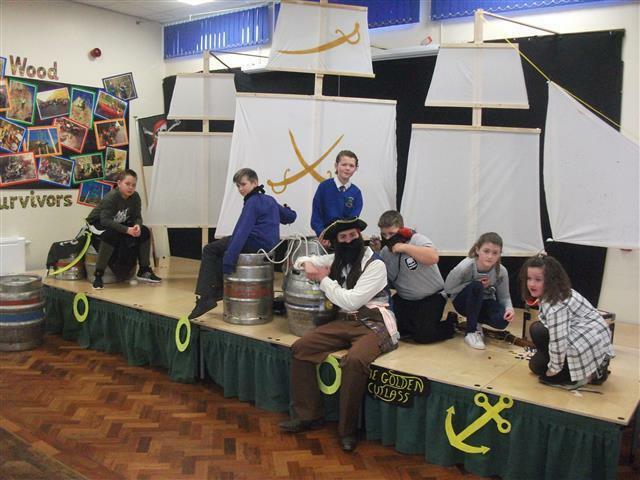 Have a look at some of the photos taken of this brilliant day. 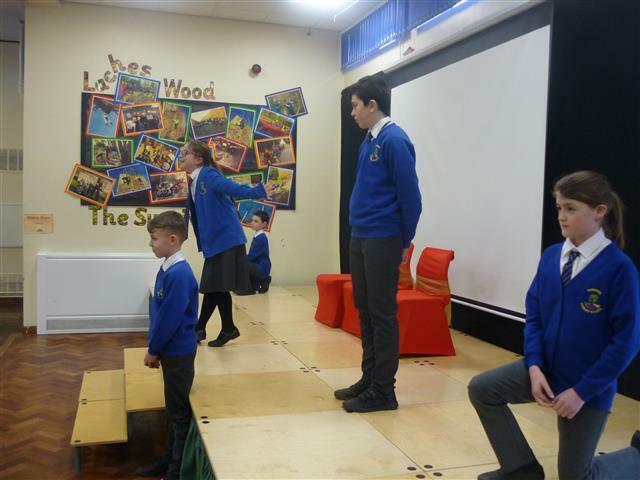 We were so impressed with the wonderful drama skills which The Survivors demonstrated when they put together a re-enactment of Reaping Day. 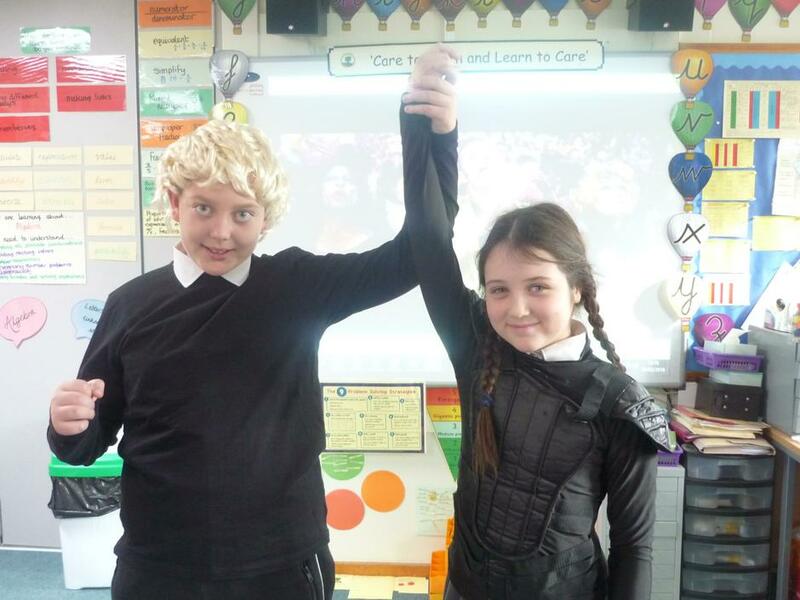 The emotions of the main characters were beautifully shown: the fear in Prim's eyes when she was chosen; the desperation in Katniss's voice when she stepped in to volunteer; the anguish on Gale's face when he realised he may have lost Katniss for ever; the entertainingly drunk Haymitch and of course the eccentricity of Effie Trinkett. 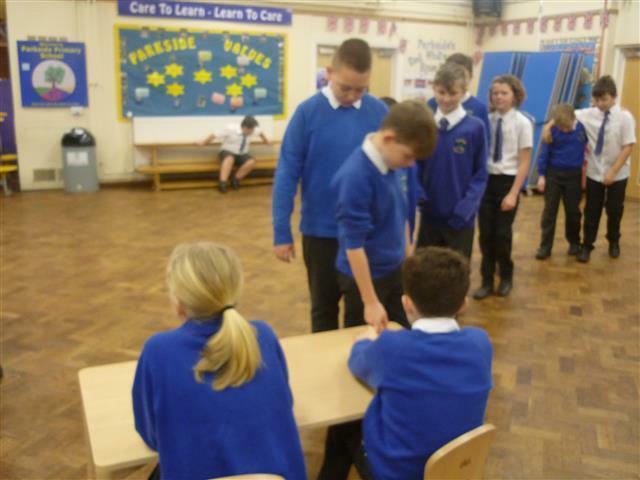 This amazing drama then led to some equally amazing writing. 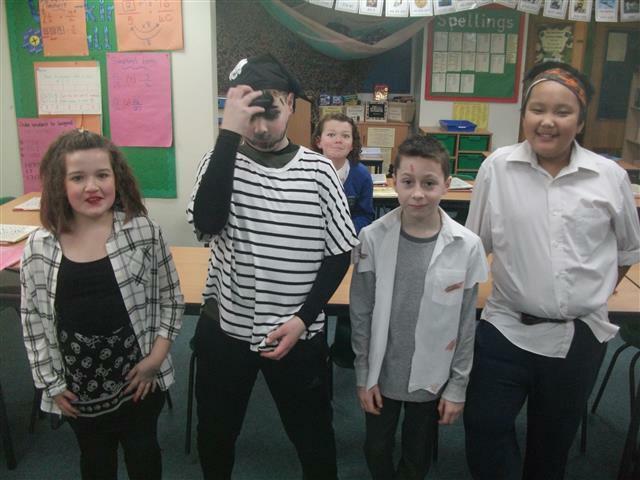 Well done Survivors! 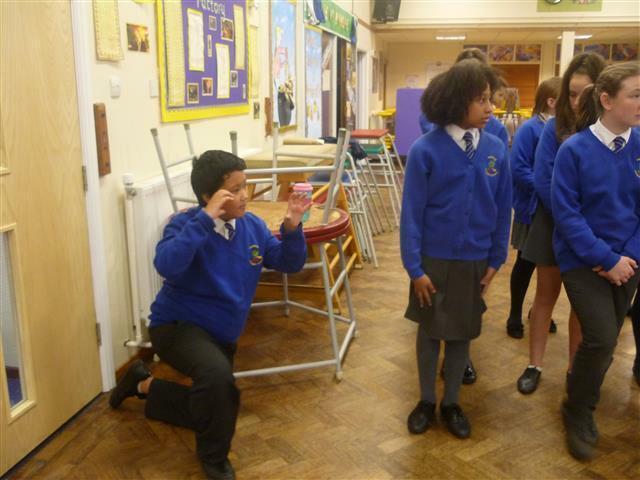 Have a look at the photos we took of our children in action!